This DVD is in PAL format, if you are in USA, Canada or another NTSC region DVD country please read this page. Click to activate the control below and watch the DVD trailer (remember the DVD quality is much better than we can put over the web, and there’s over 2 hours of detail on the DVD!). 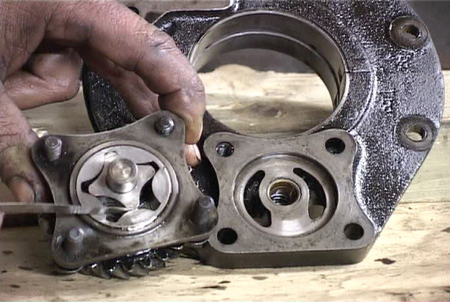 Dismantling and rebuilding a tractor engine can be a daunting task for most people. 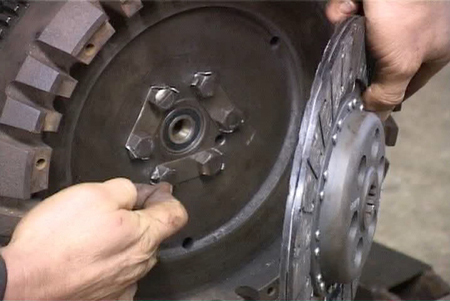 With this DVD anyone can undertake an engine repair with the confidence of achieving a high quality result. 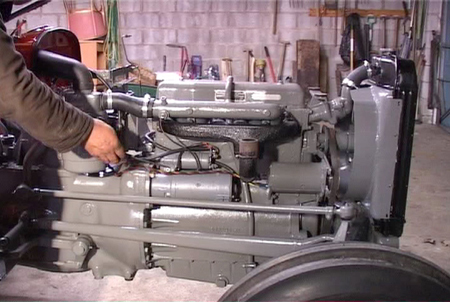 Ian Ridsdale chronicles each step of the engine rebuild on a 1959 Massey Ferguson 35 with the 4 cylinder Standard Motor Company 23C diesel engine. 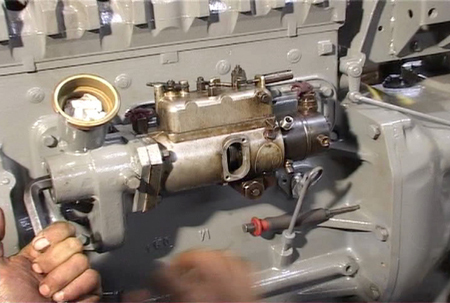 Ian shows us how to dismantle the engine, measure and assess the engine parts for wear and then guides the viewer through the rebuild. The film begins with a rusty old tractor with a smoking and clattering engine. 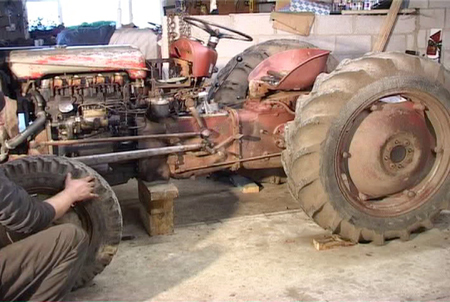 Viewers see a quality restoration before the finished machine is put to work in the field – a nostalgic moment for anyone who has worked with one of these tractors. Very impressed, well done. If you can send me an e-mail when your next Video is complete I will place an immediate order. J O, Scotland Thanks a lot. 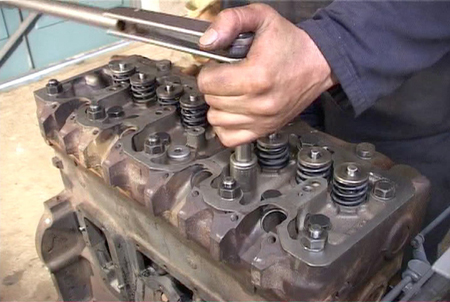 Hi I bought the MF35 Engine Rebuild DVD and found it invaluable, many thanks. 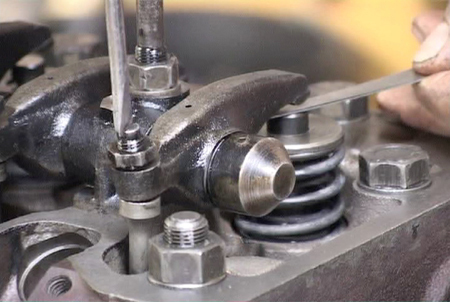 I now have recently bought a Ferguson TE f 20 and was wondering if you have an Engine Rebuild Video for that model? Best wishes. Brian. Hi Steve. I have just watched your Video. The complete idiots guide to rebuilding the little Fergy. Fabulous, thoughly enjoyed every minute. Many thanks for 2 hours of information and complete enjoyment. Jeff Thomas. Newport, Gwent. 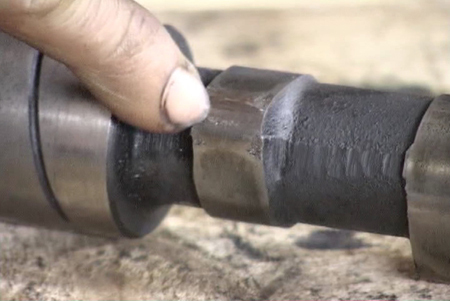 The Standard diesel engine was notoriously difficult to start and any engine wear and resultant loss of compression will compound this problem. 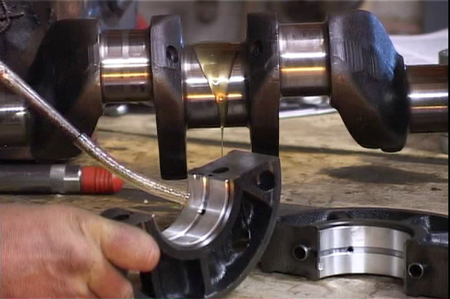 This often necessitates an engine rebuild for the FE 35, TO 35 or MF 35 tractors, and completing this task can transform a good restoration into a superb one. Due to the age of these tractors and the amount of work they have done it may not be the first time the engine has been rebuilt (the film shows what to look for when measuring the crankshaft and how to understand the marked numbers on the bearings), but what ever the circumstances we wish you well with you tractor restoration project. A. Yes, in clear detail that a complete beginner can follow!!! 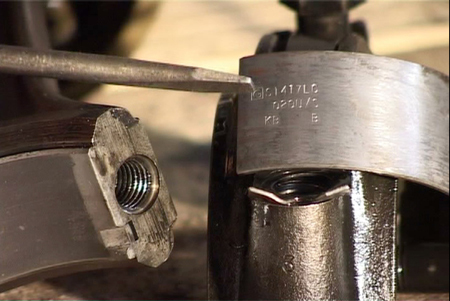 MF35 (23C) torque settings to accompany this DVD. 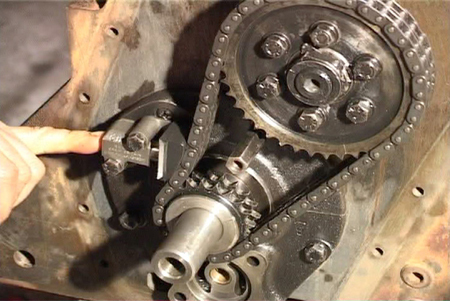 Fitting Injection Pump Timing Gear. 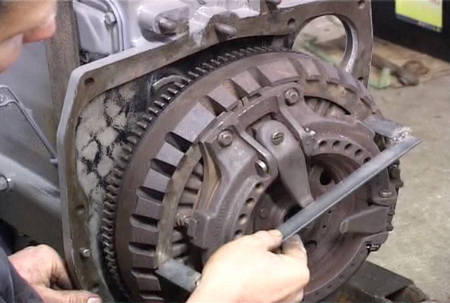 Timing camshaft using protractor method.